Welcome to the Beloit Memorial High Class of 1963 website! Our 55th class reunion was terrific! 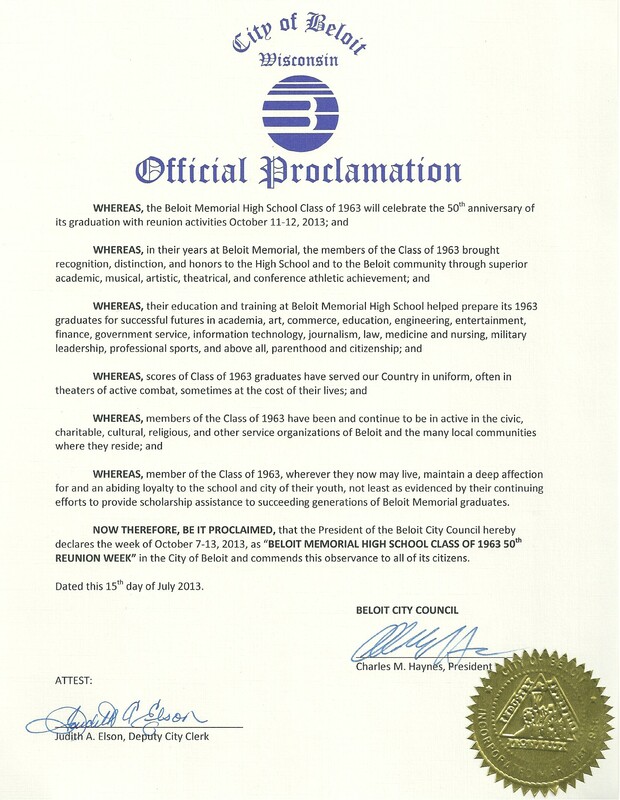 The Beloit City Council kicked things off by proclaiming the weekend of September 28 – 30 as “Beloit Memorial High School Class of 1963 55th Reunion Weekend.” And that, of course, was just the beginning. Whether during the golf play day, the Friday night get-together at the Krueger-Haskell clubhouse, the tour of the enormous (and spotless) Memorial High School, the Saturday night banquet or the getaway breakfast, classmates were constantly finding old friends and making new acquaintances among the ’63 gang. You will find photos of your celebrating classmates in the Photo Albums section below. Pictures that attendees may wish to share with everyone would also be welcomed. We all know that “the best were free in ’63.” It’s still true today. This was underscored in Fran Fruzen’s (remember Mr. Fruzen?) remarks to the banquet on the evening of October 29th. He reminded us that your class gift to the Purple Knight Scholarship Fund after our 50th reunion is still the largest on record. Many of you have contributed in this year’s donation to the Purple Knight Fund for which ’63 classmates can be justifiably proud. In his student years as at Beloit Memorial, Steve Raymer was often to be seen poised, camera at the ready, at the end of the basketball court. While his Purple Knights were shooting hoops, Steve was shooting photos for the next issue of the Increscent. Steve Raymer – meanwhile a distinguished photojournalist, author and educator -- was back on the hard court at Barkin Arena on the morning of April 11, 2014, to be recognized as the 21st member of the Beloit Memorial “Hall of Fame.” Following his 1963 BMHS graduation, Raymer received bachelors and masters degrees from UW Madison and a Fellowship from Stanford, served as an Army lieutenant in Vietnam, been a National Geographic staff photographer for over 20 years, a job which took him to more than 90 countries. He has authored five books, lectured in a dozen nations and appeared on numerous US television broadcasts and the BBC. He now is a tenured professor of journalism at Indiana University. Steve’s ceremony was attended by the BMHS student body, school principal Tom Johnson, several members of the Beloit Board of Education, Superintendent Steve McNeal and Fran Fruzen, Director of Alumni Services and initiator of the annual “Hall of Fame” honors ceremony to help inspire Beloit’s high school students. Of course, the Beloit Memorial Class of 1963 was conspicuous in attendance. A block of fellow ’63 classmates, including Mary Lynn Gowman Cunningham, Nancy Hanewall Stacy, Rita Miller Berkshire, Sandra Pederson Ovist, Clyde Bachand, Tom Holmes, K. C. Jones, Tom Nightingale and Will Parker sat together during the formal awards ceremony and joined Steve to reminisce at a reception afterwards. Raymer became the second “Hall of Fame” award recipient from the Class of 1963. Thomas Reneau received similar honors in 1996. 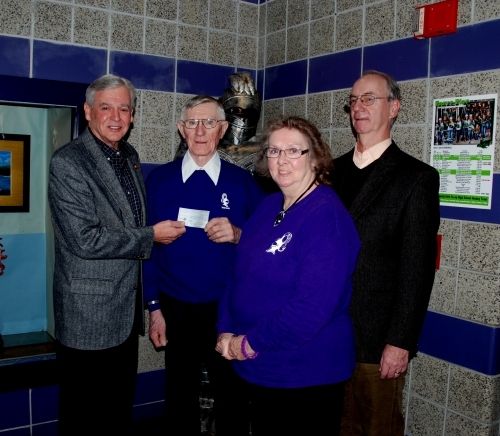 Class of 1963 Contribution to Scholarship Fund "Largest Ever"
Pictured above, longstanding BMHS administrator and former principal Fran Fruzen receives a check for $3000 donated by the Class of 1963 to the Purple Knight Scholarship Fund. Present at the ceremony were Tom Nightingale, reunion committee treasurer, as well as Mary Lynn Gowman Cunningham and Tom Holmes, members of the coordinating committee. 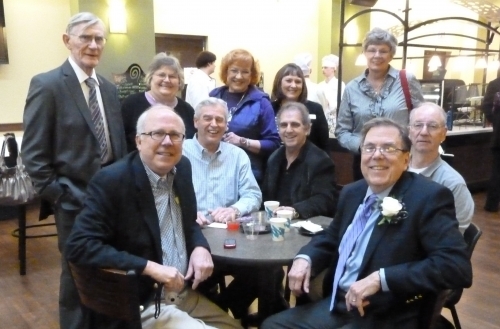 The Beloit Memorial Class of 1963 traditionally has made scholarship fund contributions following each reunion. This year's fund donation is specifically dedicated to the memory of Purple Knights of 1963 who are no longer living. The size of this year's donation is unique as well. It far exceeds any amount previously provided by the class. According to Fran Fruzen, who directs the Purple Knight Fund, our latest contribution also is the largest ever received by the Fund which annually awards a scholarship to a graduating BMHS senior. The brief dedication statement can be found in the Commemoration section of the Class of 1963 website. As so often experienced during our reunion preparations, the Beloit community once more is showing extraordinary support for the upcoming 50th reunion. The week of October 7 – 13, 2013, has been declared “Beloit Memorial High School Class of 1963 50th Reunion Week” by the Beloit City Council. In its resolution passed at a meeting of July 15th (see below), the Council recognized the many achievements and distinctions of the Class of 1963 during our days at Memorial and in the intervening years since graduation. 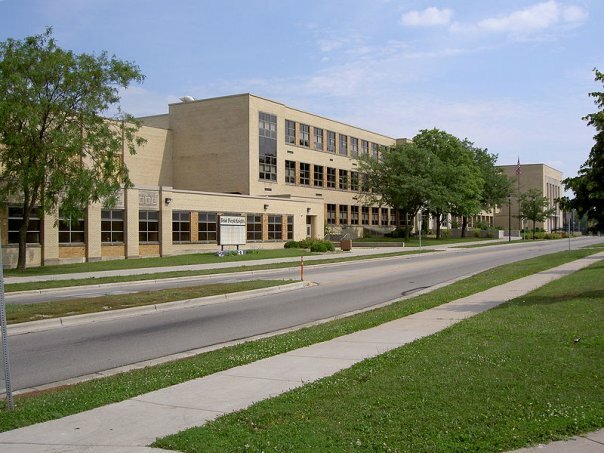 It also cites the “deep affection for and abiding loyalty to the school and the city (of Beloit)” among the Class of 1963 graduates.